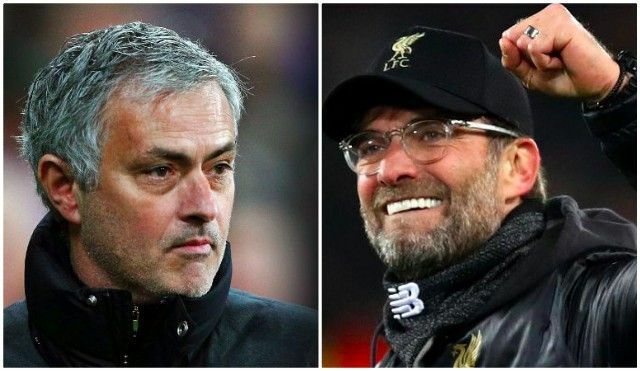 Liverpool fans have rejoiced over the perfect send off for Jose Mourinho following his sacking as Manchester United manager. It was confirmed on Tuesday morning that the Portuguese had been removed from his position at Old Trafford just two days after watching his side lose 3-1 to Liverpool at Anfield. The Reds’ win put them a remarkable 19 points ahead of United, who sit in sixth place in the Premier League having won just once in their last six league games. Wide-spread reaction from Liverpool fans entailed ironic disappointment over a potential turning point for their arch rivals, as well as joy over Jurgen Klopp’s men having brought his reign to an end. So it turns out Liverpool beating United was the final nail in the coffin for Jose Mourinho..That makes the victory on Sunday even sweeter. Chelsea 1-3 Liverpool. Mourinho sacked. Jose Mourinho has been sacked following a 3-1 defeat to Liverpool.